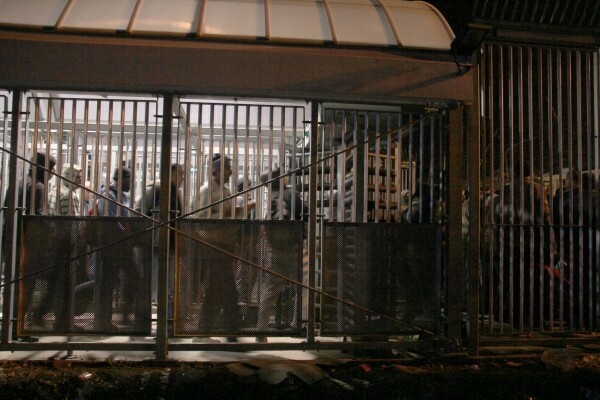 In the early morning of the 17th of december, Israeli security guards kept parts of the al-Tayba checkpoint closed, causing tension and frustration among the waiting Palestinian workers. 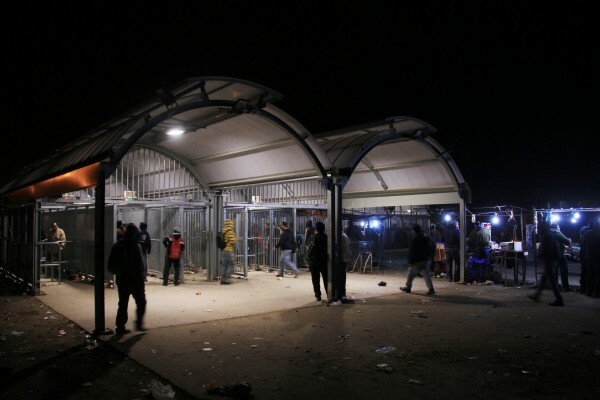 Every morning, 8000 to 10 000 Palestinians have to cross the al-Tayba checkpoint, located in the outskirts of Tulkarm, to be able to go to work in Israel. For them, commuting to work is frustrating, time-consuming and dangerous. Crossing the Al Tayba checkpoint near Tulkarem in the morning. 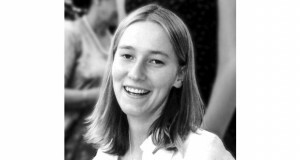 Photo credit : ISM. 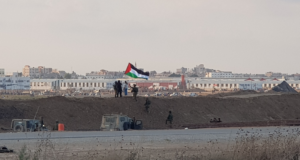 One of the Palestinian workers that ISM-activists spoke to this morning explained that under normal circumstances, it would take him a maximum of one hour to go from Tulkarm to his work in Tel Aviv. But with the checkpoints, it adds multiple hours to his daily commuting. Every morning he leaves his home before three, and after spending several hours at the checkpoint, he arrives in Tel aviv at around 6-7 o’clock, just in time to start working. Not knowing how long it will take him to get through, or if he even will be allowed to cross at all, is for him worst part. When the security guards open the checkpoint at 4 o’clock, workers have already been waiting for hours. All workers goes through four lanes leading to four separate turnstiles, that they have to pass one-at-a-time, before finally passing metal detectors and being ID-checked by the staff. Workers also complain that the turnstiles often remain closed for no reason. Between 4:00 and 5:15, each turnstile was open for an average of 21 minutes. 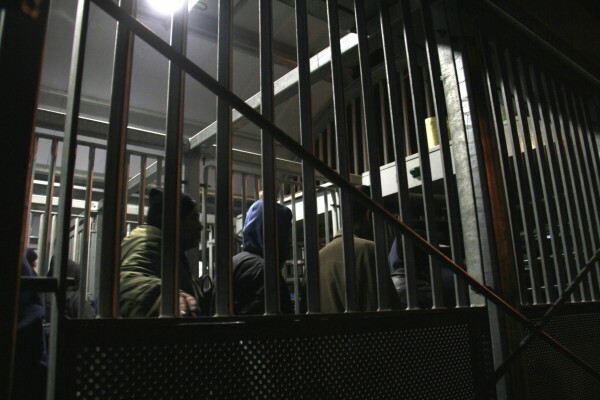 At one point, one turnstile was closed for 40 minutes, leaving the Palestinians to choose between climbing over to the next lain, risking to upset other workers, or having to go back to the entrance, and start the process all over again. 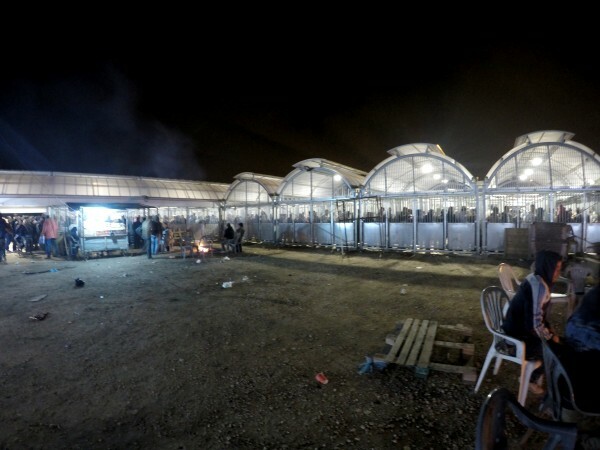 Many people suffer from the overcrowded checkpoint. The owner of a coffee stand located next to the entrance says that people get injured almost every day. 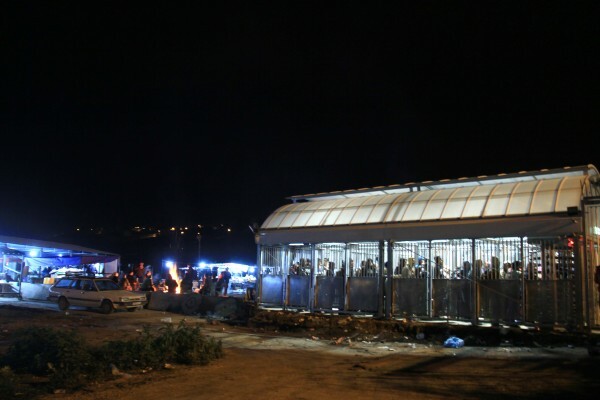 According to Maannews, 2 Palestinians were squeezed to death at this checkpoint in 2014. Even though Israel needs Palestinian workers, as they are cheap labor, the Israeli forces are still forcing workers to cross these deadly checkpoints everyday. 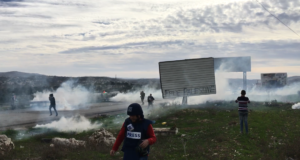 The economical situation of the West Bank often leaves no other choice for Palestinians than to go and work in Israel, despite all the challenges they face as doing so.